Before we get started, make sure you click here to enter my giveaway. 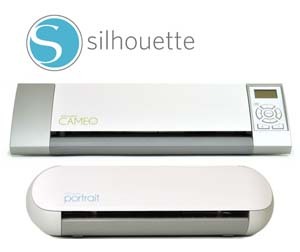 I am giving away a Silhouette Portrait cutting machine and Double-sided Adhesive kit! You have until midnight tonight to enter. The winner will be announced on Thursday! I am beyond excited to share this amazing life organizer made by my sister Di using purple file folders! Today’s video is a little different in that I am going to show you her organizer, but I will wait until she visits to film a how-to segment. My sister followed the YouTube December Daily 2012 Lap Book video tutorials by Kathy Orta from Paper Phenomenon. There are 7 of them. My sister added to Kathy’s basic design, but used Kathy’s videos for the main parts of the organizer. It took her over 7 days to create this life organizer which measures 11½ x 32 inches when fully opened. It was impossible to take photos that showed all of her amazing details, so I decided to show you the entire organizer in a video. My sister even included a monthly calendar and refills as part of her design. A special thanks to my sister for sharing her amazing work with me. Also, my sister would like to give a special shout-out to Kathy Orta’s YouTube channel for her videos on how to make a lap book using file folders. 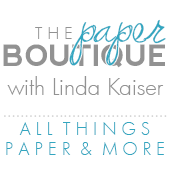 Also be sure to check out Kathy Orta’s blog, Paper Phenomenon . WOW! This is amazing! I love all the images, embossing, charms colors! You did a wonderful job! Linda, I am really loving your sister's creations and style. Does she have her own blog? Awsome planner thank you for sharing it. I also was going to ask if your sister had a blog. OMG! This is beautiful, as well as practical. I hope your sister visits soon so we can see the how-to video. :) Thanks to you, and your sister, for sharing her amazing work. That is a phenomenal planner! WOW! Your sister did an amazing job. Craftiness obviously runs in your family! Wow what a project! Linda, you are so fortunate to have a sister to share your love of crafts with. I love this! Your sister is awesome, I really enjoyed her duct tape book too. I am so glad she shared with you ot share with us! I am sorry to say that my sister does not have a blog, but I am happy to say she shares some of her creations with me! I have to ask when is Di coming to visit. You are now up to 2 projects to video with her!!! I can hardly wait... but in the meantime, I will just copntinue to be amazed by her talent. That planner is just beyond descriptive words!!! Give her a shout out for me and now I am off to watch the videos she watched!!! Thanks for sharing yet another treasure from your sister, Linda! Wow! that is amazing!! Your sister definitely does amazing work!! We make lapbooks all the time for our homeschool family. I have to try this with my kids! HI Linda! I'd like to know where she got her forms for her tags and such from? Do we have a tutorial yet on how to make this fabulous project? I really really want to make this! I would love to purchase a copy of this very life planner! It spoke to me in such a profound way. Is this an option?